There’s always a next version. The latest update. The new and improved model. That is, if you sell a product (or service) and hope to remain relevant. The first version may dramatically change, or create new markets. But, it can’t stop there. When Microsoft came out with its first version of MS-DOS (Microsoft disc operating system for those of you born after 1983 or so), they didn’t stop developing what they had. There was always a new version just around the corner, and then all the versions of Windows after that. 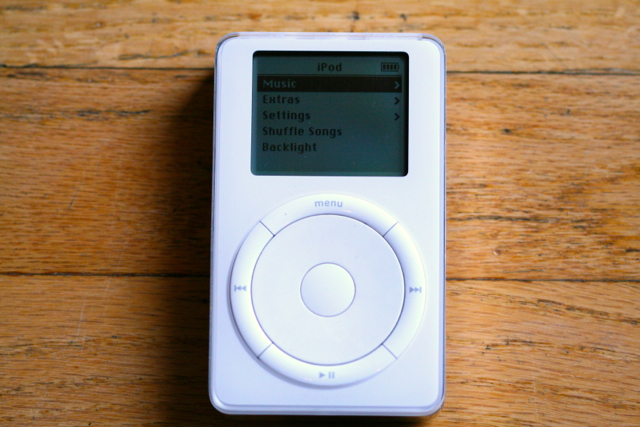 Consider how quickly Apple’s iPod improved, shrank, morphed, and spawned new products and categories (like the iPhone). The first iPhone was awesome and changed everything. But, Apple didn’t stop there. They couldn’t. Dr. Athey (one of my favorite professors) used to talk about the “ratchet effect” in technology. With each successive improvement in speed, features, or capability, the expectation level is ratcheted-up, at least one notch. Each improvement creates a new floor. A platform for the next leap. Stop improving, stop inventing, stop pushing, stop creating, stop leaping, and guess what. Your product begins to wither and die. What was once amazing becomes the norm. The markets you created start to shrink. The same ratchet effect applies to each of us. I will never forget a conversation I had with Grandpa Clyde. He was about 90 years old at the time. He had just started using email, and asked me how he could send an email to more than one recipient. I gave him some email pointers, but I got a whole lot more in return. His questions demonstrated a key secret to a happy life: Continuous exploration…seeking the next version. What are you curious about? What scares you? What seems impossible? These are the first things to explore. Choose to take your first step. Once you take the first step, the next one is easier. What features will be in your next version? This entry was posted in Attitude, Change, Choices, Courage, Curiosity, Happiness, Innovation, Surprises, Writing and tagged iPod, Microsoft, MS-DOS, Ratchet Effect, Versions on January 5, 2015 by Bob Dailey. Love this post. I try to push myself to try new things and I have a couple of ideas I want to pursue this year. I know I will experience growth and knowledge through the process whether they prove viable or not. I do like the thought that with any new experiences and knowledge I gain that I can set the next platform to launch from for whatever comes next.